I was watching the news last night - and by news I mean The Rachel Maddow Show - and I had a big moment of SWOON! 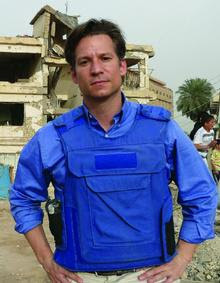 Richard Engel is NBC News' Chief Foreign Correspondent at the tender age of 36. He's covered the war in Iraq since its beginning for ABC news as a freelance journalist, and worked his way up to his current position. He's won several awards, but I'm sure he's never been inducted into the Riot's Jaguar Society. He's the 2nd journalist to receive the award - Anderson Cooper being the first. 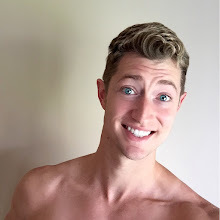 Sadly, there are no pictures of his glistening, newsboy muscles, but there's plenty of his chiseled face and perfect hair. And, Mr. Engel, if you're reading... Feel free to send a poolside photo along to IncitingARiotPodcast@gmail.com. We'll post it up.